OnePlus has never been the flashiest or most cutting edge — the Chinese company has mostly left that stuff to the Apples and Samsungs of the world. 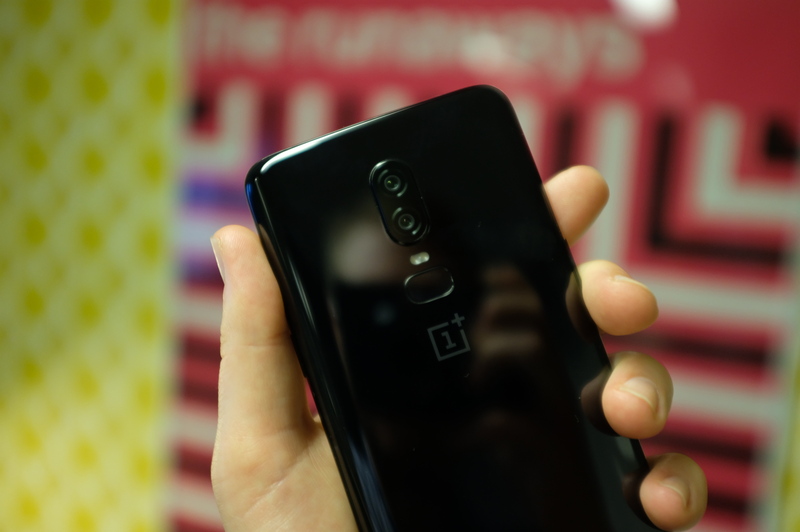 But in spite of some stumbles along the way, the upstart smartphone manufacturer has consistently delivered one of the best deals in mobile, a trend it most definitely maintains with the OnePlus 6. Due out on May 22, with a starting price of $529, the new handset continues the company’s trend of definitely being ever-so-slightly behind the flagship smartphone curve, for the sake of keeping costs down. The handset does borrow a few cues from recent handsets, including, notably, the embrace of the top notch. The company concedes that the cutout is an inevitability on handsets these days, particularly with Google’s newfound embrace through Android P. Though here it also arrives alongside the company’s largest-ever display, measuring 6.28 inches, at a 19:9 aspect ratio. Of course, OnePlus’ decision to focus on a single handset at a time means a single size option. For some longtime fans, that might fly in the face of the company’s “never settle” mantra, but at this point in the smartphone game, it probably makes the most sense for a company of OnePlus’ size to focus on a single model. 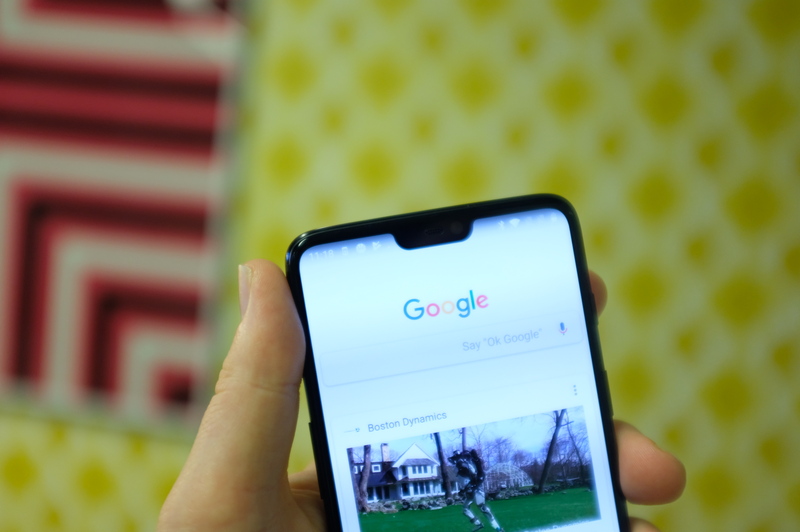 Besides, the company has managed to fit a fair amount of screen into a relatively small form factor, keeping it roughly the same footprint as the OnePlus 5T. The design language has also been adjusted a bit, this moving to Gorilla Glass 5 on the back (same as the front), which looks nice and also makes it better for those radio waves to pass through. That backing comes in three different colors, including Mirror Black, Midnight Black and a snazzy Pearl White, which have limited availability, depending on the specific SKU. This being a 2018 flagship, the OnePlus 6 sports dual rear-facing cameras, though the orientation has shifted to vertical. The sensors measure 16- and 20-megapixels, with improved optical image stabilization and improved shooting in the low-light settings — not quite as low-light as offered up on the latest Huawei and Samsung devices, however; ditto for the slow-motion feature, which doesn’t match the super-slow-motion offerings recently rolled out by Sony and Samsung. The front-facing camera is getting a software upgrade, as well, bringing the faux bokeh portrait mode to selfies, courtesy of some on-board AI. The phone maintains the super-fast fake unlock you’ll find on other recent OnePluses — as ever, the caveat there is not to make that the primary unlock method. It’s not nearly as secure as handsets that use depth sensing to face unlock. Sure is fast, though. OxygenOS is still the heart of the software experience here. As ever, the key is keeping the company’s proprietary Android skin as much in the background as possible, and using OnePlus’ actively online community as a sounding board for new features through the beta program. There’s not really a lot new to announce on the software front this time out, however, though the company’s done a good job rolling out updates to handsets after release. Inside is a Snapdragon 845 — the latest flagship chip from Qualcomm. The base system is loaded with 6GB of RAM and 64GB of storage. Another $50 will get you 8GB of RAM and double the storage. Bumping things up to 256GB of storage, meanwhile, will cost another $50.